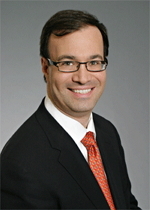 Jamie Golombek is Managing Director, Tax & Estate Planning with CIBC in Toronto. As a member of the CIBC Financial Planning & Advice, Jamie works closely with advisors from across CIBC to support their clients and deliver integrated financial planning and strong advisory solutions. He joined the firm in 2008 after 12 years with a global investment company, where he was involved in both internal and external consulting on all areas of taxation and estate planning. Jamie has also worked for Deloitte’s as a tax specialist in the Toronto office, where he specialized in both personal and corporate tax planning. Jamie is quoted frequently in the national media as an expert on taxation, writes a weekly column called “Tax Expert” in the National Post, has appeared as a guest on BNN, CTV News, and The National and has been a regular personal finance guest on The Marilyn Denis Show. He received his B.Com. from McGill University, earned his CPA designation in Ontario and qualified as a U.S. CPA in Illinois. He has also obtained his Certified Financial Planning (CFP) and Chartered Life Underwriting (CLU) designations. Jamie is a recipient of CPA Ontario’s Award of Distinction, which honours those CPAs who have made an early impact, bringing distinction to themselves and to their profession through leadership and achievement in their professional, community and/or personal lives. Jamie is a past chair of the Investment Funds Institute of Canada’s Tax Working Group as well as a member of CPA Ontario, the Illinois CPA Society, the Estate Planning Council of Toronto, the Canadian Tax Foundation and the Society of Trust and Estate Practitioners. Jamie also teaches an MBA course in Personal Finance at the Schulich School of Business at York University in Toronto.